Steed arrives at Neville's, where Mrs Dunning (Olive Milbourne) tells him he's been taken suddenly ill - a stroke, she thought, and has called for a doctor. Steed goes to see him and finds Neville in a daze of shock, gesturing oddly and holding a feather trimmed to a sharp point in his right hand. Steed takes the feather, which Mrs Dunning has never seen before, then he checks the morning post and deducts that the feather came in a small parcel. Mrs Dunning said he was right as rain at breakfast and was excited because his new idea had been well received officially. The doctor arrives and Steed waits in the study, answering the 'phone when One Ten rings. He gives him the bad news - Neville can't attend the missile conference - and is ordered to deliver Neville's papers to One Ten. The doctor (Brian Vaughan) enters and tells him Neville is suffering from shock and has been sedated - sleep may be the best thing for him. The housekeeper fetches Neville's keys so Steed can secure his papers and Steed notices there are a lot of books on spiritualism on the shelves; Mrs Dunnning returns and says he dabbled in it after his wife died. 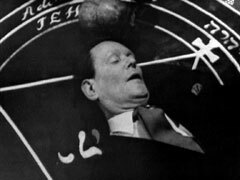 Steed starts collecting the papers and finds "An Occult Grimoire" in the desk, which shows a magic circle identical to that of the Mass on the end paper. Steed visits the Natural History Museum where he finds Cathy holding aloft a skull and he parodies Hamlet. She derides his attempt at humour and asks him what he wants and he produces the trimmed feather, saying it appears to be a hex symbol and wants the benefit of her knowledge of black magic. She asks where he got it and he fills her in; when he produces the grimoire she says Neville was probably led into a black magic circle by his interest, and such circles sometimes go in for this sort of thing and 'put a spell on him'. Steed grins, "You mean like Sleeping Beauty", and when she agrees he protests that the man was a scientist. Cathy tells him it's about faith, not intelligence, and adherents believe controlled evil is more powerful than good. She cites a recent murder which the police have conceded was a blood sacrifice and quotes a famous case from France in 1925 regarding a werewolf. Julia (Pat Spencer) is rehearsing for a mass in Cosmo's circle when Markel (John Hollis) is escorted in by Mogom (Philip Mosca). He sneers at the black magic paraphernalia and asks Gallion if Neville and his formula are there, then refuses to hand over the agreed sum of £5,000 until he arrives. Gallion protests that wasn't the deal, and cites how he got Watherson and Marshall for them, when Markel is dismissive of magic he says other governments are willing to pay him if Markel's won't, at which Markel backs down and hands over the money. Cathy meanwhile is telling Steed that a 'warlock' holds sway over his victims only if they're receptive and it's mostly due to psychology. Cathy agrees that a warlock could control someone at a distance and says if the victim were her responsibility she wouldn't leave him alone. Neville meanwhile wakes and sees the door and chest of drawers open by themselves - then Gallion appears in the mirror. Steed arrives a moment later and Mrs Dunning is shocked when she finds Neville missing from his room. Steed sends her to look for him while he checks the bedroom and they discover Neville has taken his money and briefcase with him. Cosmo meanwhile 'summons' Neville and he is led in by Mogom. He struggles to keep himself from handing over the paper but finally hands over the case, but Markel is furious when he discovers the formula isn't in it. Gallion says someone must have removed the papers without Neville's knowledge and Markel determines to force Neville to divulge the propellant formula. A snap of Cosmo's fingers brings him out of his daze and he feebly tries to escape. Markel demands the formula and when Cosmo says it'll cost more for him to extract it Markel tries to beat it out of Neville - distressing Julia - and Neville dies from the blow. 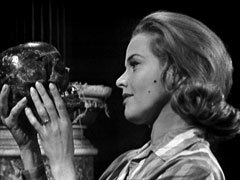 A pathologist (Gordon Gardner) and his assistant, Miss Timson (Christina Ferdinando), examine Neville's body at the morgue and he greets Steed when he arrives, slightly grudging the cloak and dagger nature, and tells him Neville died of a heart attack but he's not entirely satisfied - he'd been struck in the face before ending up in the river. Markel meanwhile visits Mrs Dunning, posing as a friend of Neville, wanting some papers for a lecture they were going to give together but when he hears that Steed took the dispatch box he thumps a display case and starts ransacking the study, to Mrs Dunning's horror. She tries to call the police when he finds the desk is locked but he stops her and demands the key. 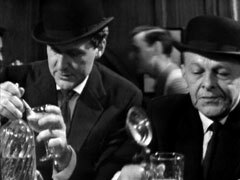 Steed meets One Ten in a crowded pub and is told about Gallion's other victims, who also had extensive occult libraries. Steed departs to check Neville's books while One Ten takes umbrage with Myrtle, the barmaid (Susan Franklin), for serving him the bottom of the barrel. Steed breaks in about the same time Cathy does and she throws him to the ground when he grabs her. She starts searching the shelves and notices all the books were bought from an occult bookshop in the high street run by Cosmo Gallion. Steed finds his name on a horoscope prepared for Neville and she tells him Gallion's an expert on the paranormal but didn't know he went in for soothsaying. She identifies Gallion's logo as being an eagle, which represents power, but says he has a learned reputation for studies into paranormal psychology - hypnosis, trance states, levitation. Steed leaps up and is about to head off to the shop when Cathy stops him, saying she'd be better able to discuss the paranormal, and then discovers Mrs Dunning's body in the corner. Gallion tells Markel he's a fool for killing the housekeeper as well. Cathy arrives at the shop and Markel suspiciously watches her seek audience with Dr Gallion. He tells her that her recent monograph on voodoo was excellent and she asks him if he can put her in touch with a black magic group in England, flattering him by describing him as an expert in the area. He says he runs a small amateur circle himself and may be able to put her in touch with more advanced circles. He makes up a horoscope to see if she's suitable to join his group while Steed returns to the pub in Covent Garden and chats up the barmaid. Cathy leaves and is invited to return that night; after she's gone, Cosmo tells Julia that Cathy is perfect for the "Ritual of Asmodeus". Steed's still chatting the barmaid up with talk of palmistry when Cathy enters and says she's been invited to join them that night. Steed insists she bring him along but she says they wouldn't let him in. They attend the meeting and Cathy introduces Cosmo to Steed, who complains that Cosmo's lecture was elementary, saying he's been interested for four years after being introduced by Watherson and Cosmo is most interested when he says he's a physicist working at Bancroft, but apologises to Cathy for not having finished her horoscope yet. Steed and Cathy leave, sensing they're not wanted, and Gallion tells Markel that Steed's aura was wrong for a scientist and he thinks he's a fake. Markel wants Steed and tells Gallion he's a fake too, then demands the money back at gunpoint. Gallion mesmerically stays his hand and summons Mogom to lead him away, and sneers, "Do you still think I'm a fake?" 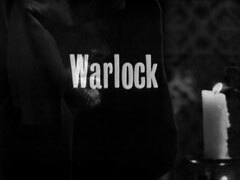 After they leave, he takes a voodoo doll of Markel from a cabinet and draws a pin from his cloak... and in his lonely garrett, Markel suffers an agonising heart attack and dies. Some devotees arrive for a ceremony while Cathy drops Steed home. She declines to come up to his flat to discuss the case and when he suggests returning after hours to Gallion's shop she tells him to do it himself. Steed drives himself back to the shop later while the ceremony is being conducted inside and overcomes the guard dog by getting it to attack a cloth he doses with chloroform. 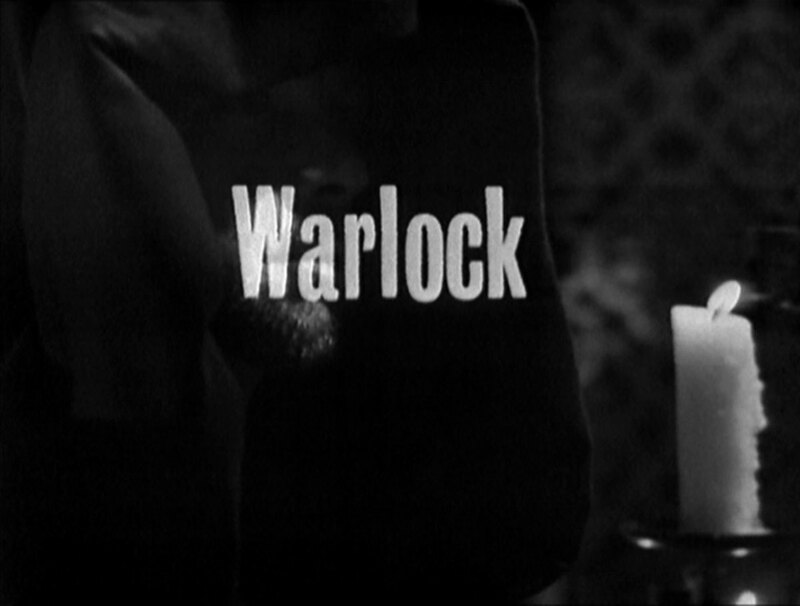 He breaks into the room where Markel's body lies and is attacked by Pasco (Herbert Nelson) when he leaves the room but after a vicious fight Steed emerges victorious. He steals Pasco's cloak and join the ceremony just as Gallion is announcing they're performing a rite which hasn't been performed in 100 years. The congregation dance deliriously at his signal then stop abruptly when he shouts "Will with me!" Julia drops her robe and stand semi-naked before him as he summons Catherine Gale, who wakes from her sleep as the dancing recommences. Pasco recovers and rushes to Cosmo's side, who stops the dancing and Steed is exposed, disarmed and tied to Markel's bed. The summoning recommences while Steed tries to free himself and Cathy arrives just as he snaps his bonds. She approaches Cosmo and give the ritual response, and has her cloak taken from her. Steed meanwhile tricks Pasco into entering the room by holding Markel's dead face to the peephole, then knocks him out again and takes back his revolver. He rushes back into the ceremony just as Cathy disrupts it by overpowering Mogom and firing her pistol in the air. The ceremony disrupted, Cosmo suffers a massive heart attack and dies. Steed buys Cathy a brandy and soda at the pub and they recount the case - Mogom being behind it all. Steed asks why she turned up if she weren't under Gallion's influence and she tells him, "When I find a hunt worth joining, Steed, I like to be in at the kill". Steed says he'd like to do something ordinary and relaxing where someone else does all the work for a change, and Cathy suggests boxing.